Cheeseburgers! Can you believe there is a National Cheeseburger Day? 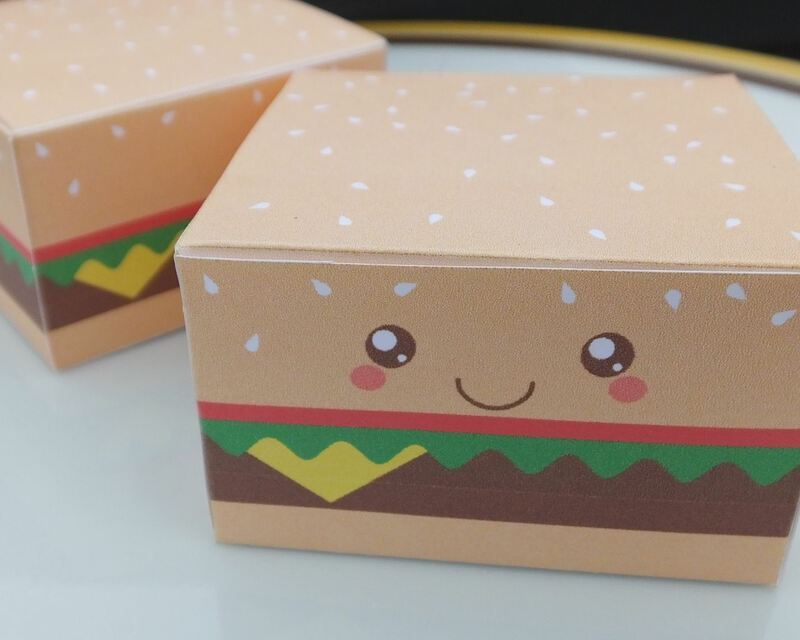 This printable cheeseburger box comes with or without a cute face. The sesame seeds are because TG has a strong preference for sesame seed buns. 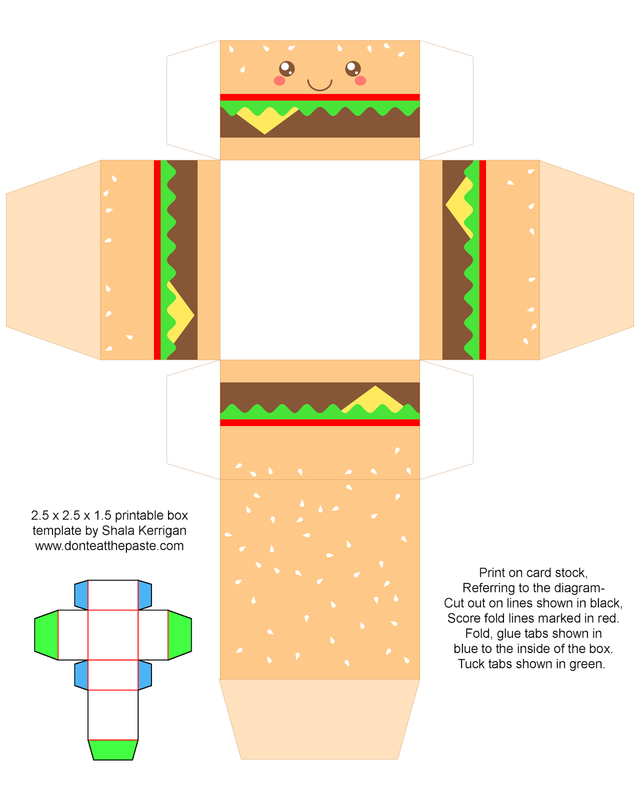 Click the images for larger versions, print on card stock, cut out, score folds, fold and glue! Geometric mandala to color- I call it joy!